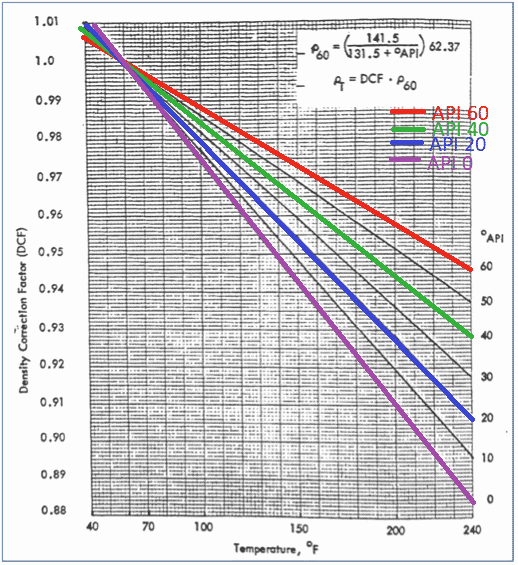 Use our API Gravity at 60°F Temperature Correction Calculator Online. Use our API Gravity To density to convert to specific gravity. 1) Usually, your API gravity reading will be at a temperature other than 60°F. 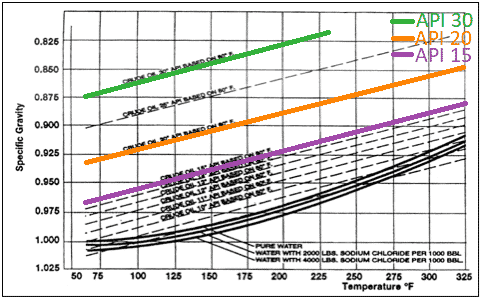 To convert an API gravity reading to 60°F, we usually use ASTM Table 5B. The left and right margins of the table are annotated with the temperature. The upper margin lists the API gravity values. 2) When you have located the temperature value, follow the row across till you intersect the column of your API value. The crossed value is your API gravity corrected to 60F. In our calculator we used an empirical equation to estimate the API gravity at 60°F for more accurate result please refer to the ASTM as stated above.